Where Are the Profits in Omni-Channel Selling? A new JDA study reveals an enormous amount of money, energy and time retailers and consumer goods manufacturers are spending to improve their omni-channel sales capabilities. While this may not be surprising given the current business environment, the JDA report reveals an unexpected and disturbing fact: despite these significant investments, only 16 percent of companies say they can fulfill omni-channel demand profitably today. This finding, and others are highlighted in The Omni-Channel Fulfillment Imperative, a new report prepared for JDA Software Group, Inc. by PwC. This study is based on a global survey of more than 400 retail and consumer goods CEOs from around the world, conducted in late 2014. The CEOs in the JDA study recognize that they need to continue investing in business improvements to enhance their omni-channel performance. However, reducing the associated logistics costs is not their primary focus. When asked to rank their top initiatives for improving business operations, CEOs’ number-one choice (57 percent) was spending capital on creating new customer experience. Similarly, when asked to rank strategic growth enablers for the year, reducing/reformatting physical store footprints to focus on expanding the ecommerce business was the top choice at 53 percent. While they might not be focused on actions today to create profitable fulfillment and delivery schemes, the JDA study leaves no doubt that CEOs are aware of the importance of profitable omni-channel fulfillment to their future survival. Seventy-one percent of respondents said omni-channel fulfillment is either a high or a top priority. And these CEOs are planning to invest an average of 29 percent of their total capital expenditures for 2015 on improving their omni-channel fulfillment performance. The fulfillment capability most cited as needing attention was transportation and logistics, named by 88 percent of CEOs as a priority for the future. The second capability CEOs will focus on is improving inventory availability to fill orders, cited by 85 percent. 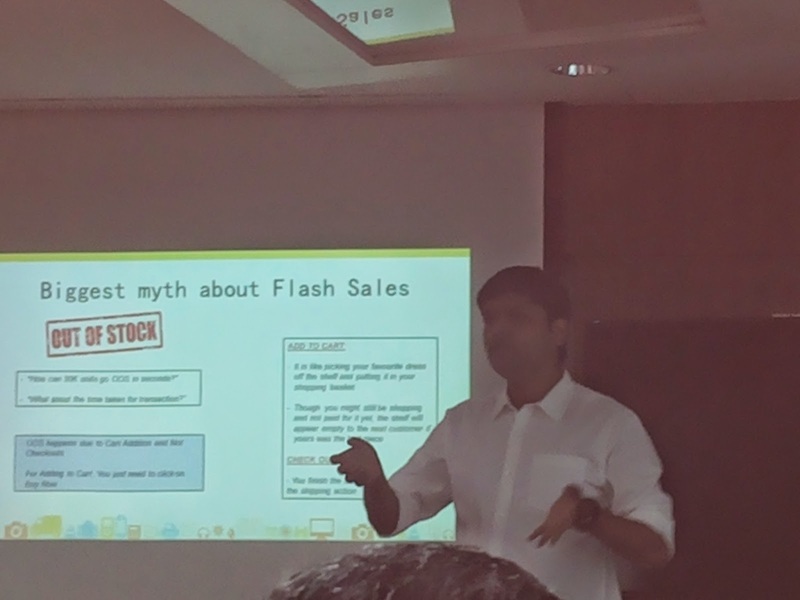 In the first-ever live flash sale for Lenovo A7000 held at Flipkart office in Bangalore on April 15, 2015, Lenovo claims to have sold 30,000 units in 4 seconds. Launched on April 07, 2015 in India, the A7000 being the world’s first Dolby Atmos equipped smartphone, has created a lot of stir in the smartphone market and has received overwhelming response from the consumers. The Lenovo A7000 sale began today at 2 PM on Flipkart. 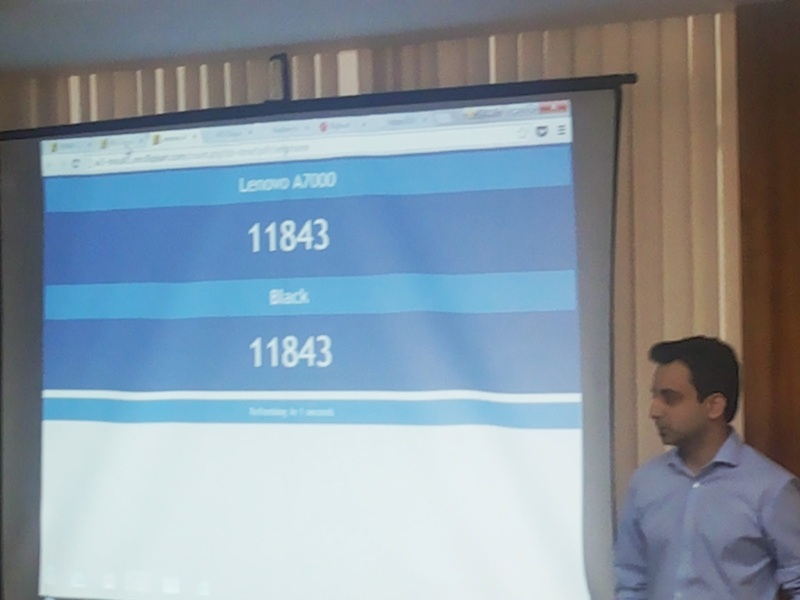 The next sale of A7000 will be on April 22, 2015. The registrations for the next sale will start on Wednesday, April 15, 2015 at 6 p.m.
VMware, the global leader in virtualization and cloud infrastructure, today inaugurated its state-of-the-art campus in Bangalore, representing a total investment of $120 million. With the addition of the new 438,000 square foot facility in South Bangalore, the IT major will house about 1300 engineers for its R&D from the new campuses. 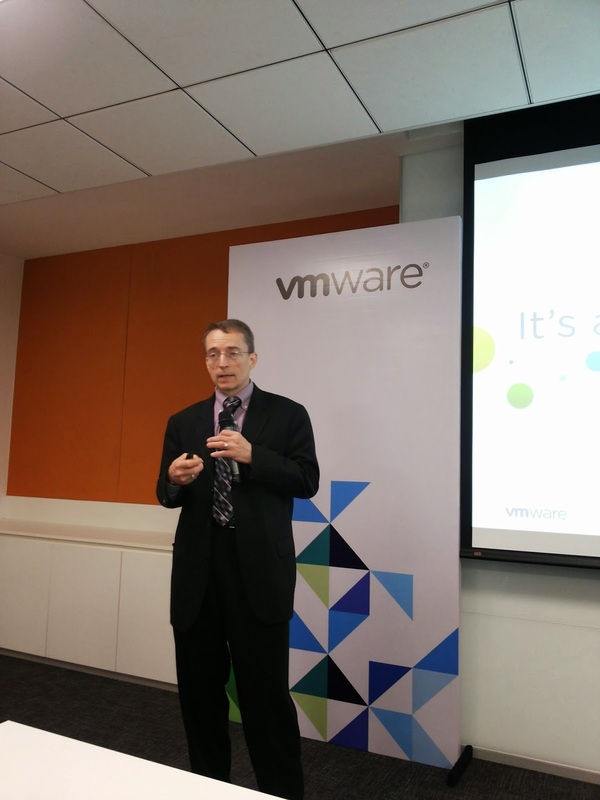 Today, VMware employs over 3,300 employees in India, a figure expected to grow by more than 16 percent by the end of 2015. The new facility will play a strategic role in VMware’s global growth strategy for the mobile cloud era. This milestone is in line with the company’s commitment to invest $500 million in India by 2017. The new campus features a world-class Executive Briefing Center (EBC) to showcase VMware’s entire portfolio of solutions, providing customers and partners across Asia Pacific with the opportunity to see the company’s products and services in action, and discuss them face to face with executives and engineers. With a growing preference for smartphone devices amongst end users in India, VMware is also witnessing a strong interest and success for AirWatch, the industry leading enterprise mobility management and content management solution. AirWatch by VMware was recognized by Gartner as a leader in its 2014 Magic Quadrant for Enterprise Mobility Management. 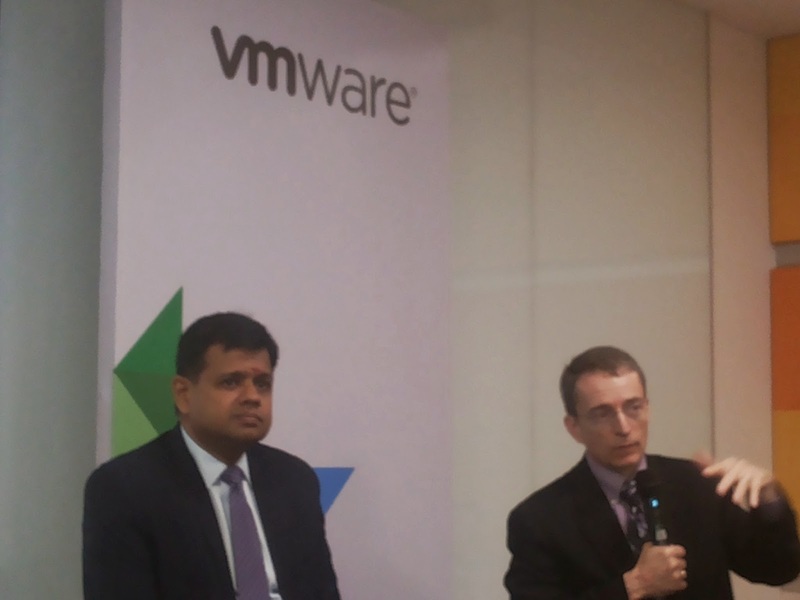 Since inception a decade ago, VMware India has grown to become a strategic contributor to the company’s global innovation engine. The R&D team in India plays a critical role in product development in all of VMware’s strategic imperatives – the software-defined data center, hybrid cloud and end-user computing. R&D, Global Support Services, World Wide Customer Operations, IT and Sales & Marketing departments come together under one roof in an environment conducive to collaboration and innovation. VMware’s expanding operations in India are second in size only to those at the company’s Palo Alto headquarters in the U.S. According to “Empowering Organizations in a Software Defined World”– an IDC report commissioned by VMware – customers in India are expected to save an estimated $4 billion between 2014 and 2020 by adopting a software-defined approach to managing IT. The corresponding figure for Asia Pacific and Japan is $92.4 billion. These figures reflect costs normally associated with servers, power consumption, cooling, real estate and server administration. Today’s enterprise is faced with challenges in dynamic and fast moving marketplaces as never experienced before. 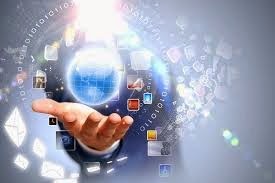 Organizations need to address relentless change, ceaseless information flow, radical collaboration, threats and uncertainty, total mobility, constant connectivity, instant gratification, new channels and new markets. Failure to do so risks growing customer irrelevance, market share loss to new disruptive competitors and shrinking profits. 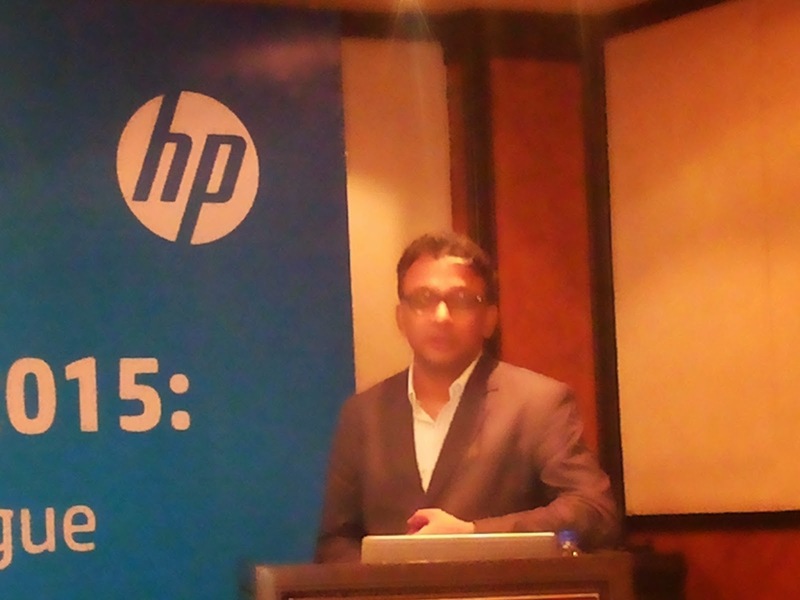 In the HP commissioned Leadership Playbook “Transformation Everywhere: Are You Ready for a New Style of Business”, IDC confirms that the marketplace in Asia Pacific has entered the “Innovation Stage” for the four pillars of 3rd Platform technologies: cloud, mobility, big data analytics and social. Enterprises in the region are accelerating adoption of mash-ups of the four pillars and starting to look at new innovation accelerators such as the Internet of Things and other emerging technologies. Combining a strategy scorecard with HP Advisory Services, an organization can navigate the complex process of IT transformation and develop a robust strategy to take advantage of these new dynamics for services and processes that drive innovation and growth. The services include end-to-end consulting, assessments and interactive workshops for IT strategy planning, enterprise architecture, IT governance, organizational change management, applications modernization and executable roadmaps. For enterprises to thrive in 2020, transformation to digital business using solutions for the new style of IT will be critical to their success and will enable them to unlock the potential of new customers and new markets, and fight off disruptive competitors. HP has announced a re-engineered, sleek new series of LaserJet printers designed to make businesses more efficient. Built around the latest in toner formulation -- new Original HP Toner cartridges with JetIntelligence -- the HP LaserJets use up to 53 percent less energy, take up to 40 percent less space and wake up, print and duplex in a fraction of the time. Today’s announcement represents our most significant laser printing re-engineering since the introduction of the first LaserJet in 1984. Original HP Toner cartridges with JetIntelligence deliver up to 33 percent more professional-quality prints, 2 peak printing performance, and protection against counterfeits with innovative anti-fraud technology. With its durable shell and soft core, ColorSphere 3 toner offers consistently glossy, professional-quality results and is specifically designed to keep up with the high-speed performance of HP LaserJet printers and MFPs. Despite having a more durable shell, the new toner’s soft core melts at a much lower temperature requiring far less heat to melt. The result is higher page yields from a more compact and energy-efficient printer. The toner cartridge has been re-engineered to work smarter than ever before, delivering more pages with fewer interventions. Page maximizer technology delivers more pages per cartridge than previous generations with less internal wear. In addition, print gauge technology intelligently predicts toner levels, helping IT managers get the most out of each toner cartridge. With anti-fraud technology built into every JetIntelligence toner cartridge customers have more protection that easily identifies counterfeit cartridges and enforces customer-initiated anti-theft and office-wide printing policies to manage cost and quality standards. HP also makes cartridge installation easier than ever with the new auto seal removal. 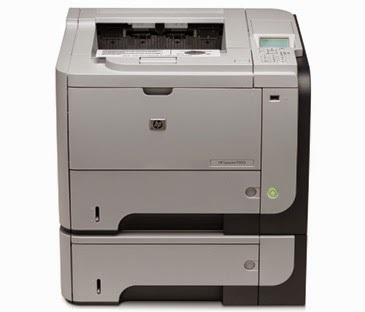 · HP Color LaserJet Pro M252 series is compact and energy efficient. Up to 33 percent smaller than competitive devices, the new series is built to meet the needs of a small workgroup, streamlining workflow with mobile printing options and fastest first page out in its class.1 HP Color LaserJet Pro M252 series is available in two models; HP Color LaserJet Pro M252n and HP Color LaserJet Pro M252dw priced at an MRP of INR 29,565 and INR 36,855 respectively. · The HP Color LaserJet Pro MFP M277 series is the smallest laser MFP and offers the fastest 2-sided printing in its class, 1 enabling a growing team to speed through tasks with a range of productivity and workflow features. HP Color LaserJet Pro MFP M277 series is available in two models; HP Color LaserJet Pro MFP M277n and HP Color LaserJet Pro MFP M277dw priced at an MRP of INR 60,588 and INR 67,635 respectively. The HP Color LaserJet Pro MFP M277 series also comes with standard two years warranty & free installation. · The HP Color LaserJet Enterprise M552dn and M553 series is ideal for larger workgroups of five to 15 users printing up to 6,000 pages per month. Helping save IT managers time and money, the series prints at high speed while achieving the lowest total energy consumption and fastest double-sided printing speeds in its class.1 They are also the first to include Google Cloud Print 2.0 supporting Google’s new local printing standard for Chromebooks and Chrome OS applications. 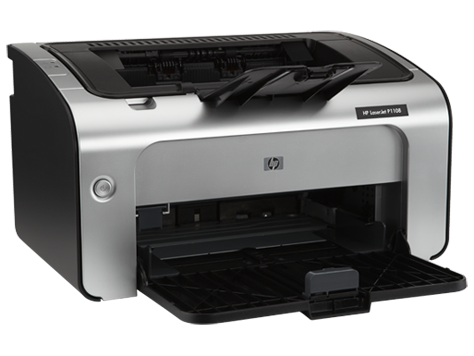 HP Color LaserJet Enterprise M553 series is available in three models; HP Color LaserJet Enterprise M553n, HP Color LaserJet Enterprise M553dn and HP Color LaserJet Enterprise M553x priced at an MRP of Rs 74,129, INR 84,150 and Rs 108,120 respectively. HP Color LaserJet Enterprise M552dn is available at an MRP of Rs 78,030. Bookcab.in, India’s leading outstation car rental aggregator has launched its services in prominent Tier III cities in the country. 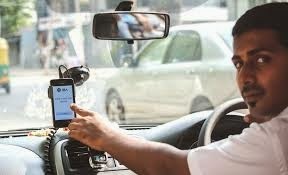 Looking at the growing demand for outstation cab bookings in smaller cities, Bookcab.in has started its services in cities like Haridwar, Ujjain, Rishikesh, Ooty, Panipat, Meerut, Ambala and many more. Bookcab.in caters to more than 800 customers every month and has a presence in 120 cities. 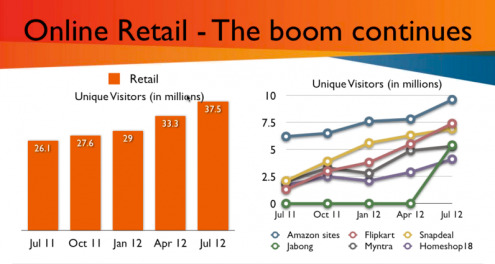 By mid 2015, Bookcab.in plans to expand its services to 200 cities. It has a vendor base of 220 operators and more than 8000 vehicles across the country. 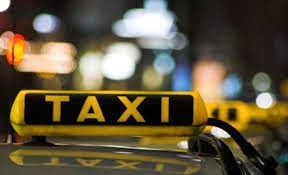 Bookcab.in has also introduced day trip packages for the benefit of customers. Day trip packages are hassle free packages which includes an upfront price without any hidden charges. 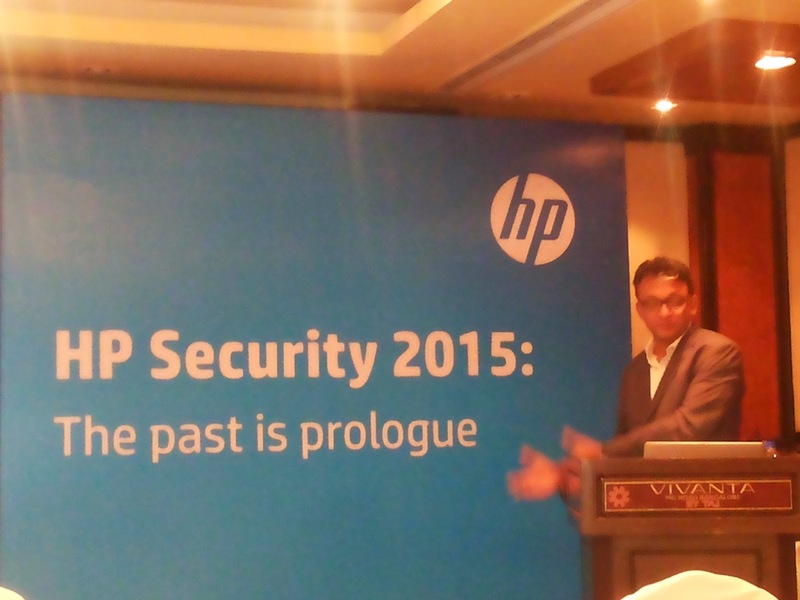 HP has published the 2015 edition of its annual Cyber Risk Report, providing in-depth threat research and analysis around the most pressing security issues plaguing the enterprise during the previous year and indicating likely trends for 2015. Authored by HP Security Research, the report examines the data indicating the most prevalent vulnerabilities that leave organizations open to security risks. This year’s report reveals that well-known issues and misconfigurations contributed to the most formidable threats in 2014. * 44 percent of known breaches came from vulnerabilities that are 2-4 years old. Attackers continue to leverage well-known techniques to successfully compromise systems and networks. Every one of the top ten vulnerabilities exploited in 2014 took advantage of code written years or even decades ago. * Server misconfigurations were the number one vulnerability. Over and above vulnerabilities such as privacy and cookie security issues, server misconfigurations dominated the list of security concerns in 2014, providing adversaries unnecessary access to files that leave an organization susceptible to an attack. *Additional avenues of attack were introduced via connected devices. In addition to security issues presented via Internet of Things (IoT) devices, 2014 also saw an increase in the level of mobile malware detected. As the computing ecosystem continues to expand, unless enterprises take security into consideration, attackers will continue to find more points of entry. * The primary causes of commonly exploited software vulnerabilities are defects, bugs, and logic flaws. Most vulnerabilities stem from a relatively small number of common software programming errors. Old and new vulnerabilities in software are swiftly exploited by attackers. * A comprehensive and timely patching strategy should be employed by network defenders to ensure systems are up-to-date with the latest security protections to reduce the likelihood of these attacks succeeding. * Regular penetration testing and verification of configurations by internal and external entities can identify configuration errors before attackers exploit them. * Mitigate risk being introduced to a network prior to the adoption of new technologies. With emerging technologies like Internet of Things (IoT), it is imperative for organizations to protect against potential security vulnerabilities by understanding new avenues of attack before they are exploited. * Collaboration and threat intelligence sharing is key to cooperatively addressing threats across the security industry. This enables organizations to gain insight into adversarial tactics, allowing for more proactive defense, strengthened protections offered in security solutions, and an overall safer environment. * Complementary protection strategy should be adopted with a continuous “assume-breach” mentality. There is no silver bullet solution, and defenders should implement a complementary, layered set of security tactics to ensure the best defense.